All in all, the few hours are well spent. It really opens up our eye on how little are we as an individual human being. Just take for an example, DreamWorks' animation segment is a huge business and they can never achieved them without massive works/hours spent (in terms of years) collectively. It is a team work with common vision that can never be achieved by any individual alone. 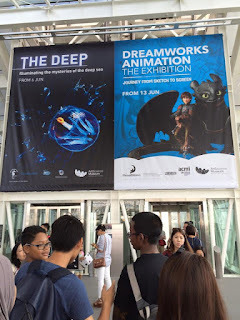 And the final product is an entertaining animation blockbusters (like Kungfu Panda, Croods etc..) that making movie goers around the world entertained for a couple of hours (some repetitively). The Deep is kind of surprise (somewhat horror) discovery for me. You might think that some of the mysterious monsters/creatures in the Hollywood blockbuster movies are purely imagination, wait till you see what the explorers unearth from the deep blue sea, some of them might look impossible to exit but they are REAL. In fact, the issue is never whether they exist or not, the issue is our limited knowledge about our earth. We don't know doesn't means it doesn't exist! More works are to be done by the scientists and explorers but kudos to them for bringing such discovery to the public. Singapore Eye is a Contemporary Art exhibition. I must admit that I don't have an artistic eye/mind and I might not be able to appreciate much of what I've seen but it just amazed me how difference are we (as individual) in terms of our view/perspective/angle. Art is never about good or bad, it is about whether we can see/feel through the lens of the respective artists. 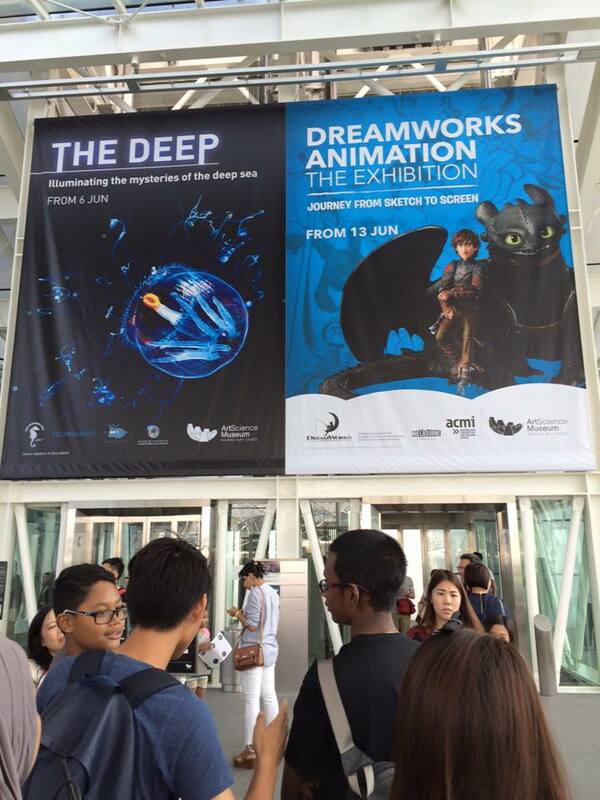 Among the three exhibitions, The Deep comes up top in my ranking, follow by DreamWorks Animation. Looking forward to keep opening my eyes/mind for all the good stuff around me (that include personal finance stuff). Also, must keep reminding ourselves that life is full of possibilities, if you can imagine it, you can create it! Cw8888 : that's for sure! All the more we should learn how to appreciate the present and enjoy ourselves, wherever we are! Have a great Father Day to you!